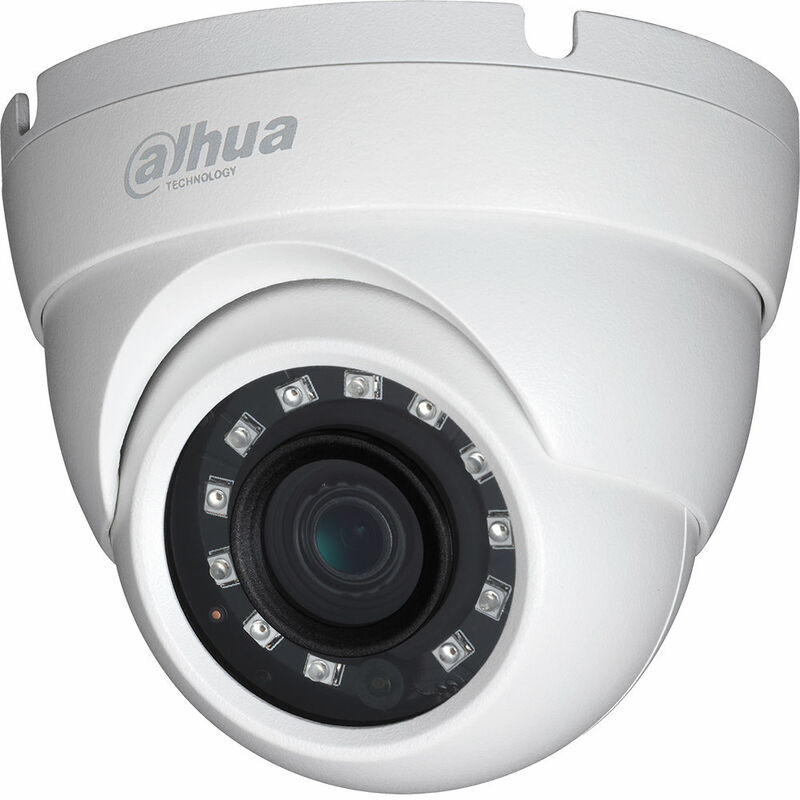 Move up to full HD without squandering your investment in coax cabling with the Lite Series A211K02 2MP Outdoor HD-CVI Dome Camera with Night Vision from Dahua Technology. Equipped with a 2MP CMOS eyeball sensor and a 2.8mm fixed lens, this camera captures video at resolutions up to 1920 x 1080 at 30 fps in a 103° field of view. The camera has an IR cut filter and IR LEDs for night vision with an effective range of up to 98'. Image enhancement features including digital wide dynamic range, automatic white balance, and backlight/highlight compensation enable you to capture clear images in varying lighting conditions. Designed for outdoor use, the camera is housed in an IP67-rated weather-resistant enclosure.